Lush New Media design and build websites that are compatible with all the latest devices, platforms and browsers including smartphones and tablets. If you need a new website or your current website is in need of a refresh Lush New Media will gladly provide a free quote for you. Lush New Media also offer creative design for logos, stationery sets, brochures, leaflets/flyers, posters, books and advertising/marketing campaigns. 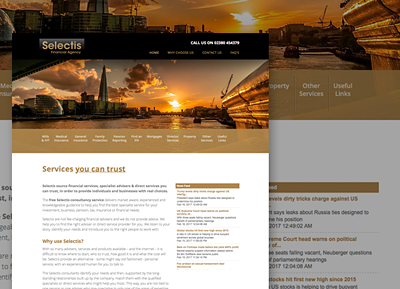 Take a peek at some of our recent work. Founded in 1999 by Southampton / London-based Website Designer / Graphic Designer / Creative Artworker Wayne Roberts, Lush New Media offer a personal, friendly service and pride ourselves on providing professional, pixel-perfect work at affordable prices. 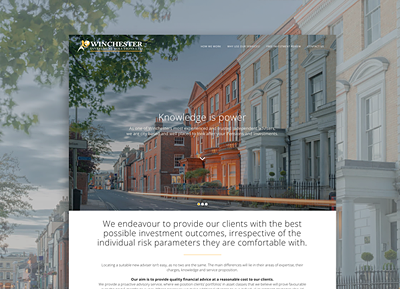 We specialise in custom website design, print design/artwork and multimedia for small, medium and large businesses / organisations in Southampton, Hampshire, London and throughout the UK. Our expertise is in bespoke creative design solutions for websites, microsites, e-shots, banner ads and other screen-based work. We also design and artwork brochures, books, direct mail, advertisements, posters, flyers, leaflets, logos, corporate IDs, exhibitions and presentations. 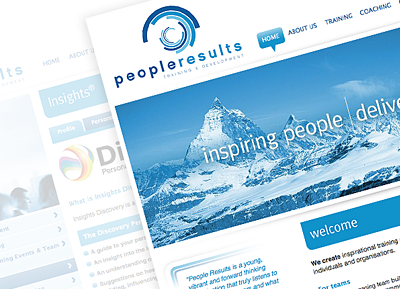 Bring your business’s online presence and marketing materials to life with clear, simple and elegant solutions designed with care and consideration by an award-winning graphic designer - please feel free to contact us with a brief overview of your project requirements and we’ll provide a free estimate. Please feel free to contact Lush New Media using the contact information or contact form below. 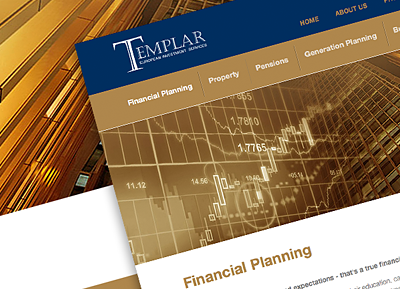 BRIEF: To design and build a new website and brand identity for a financial planning advisory service. 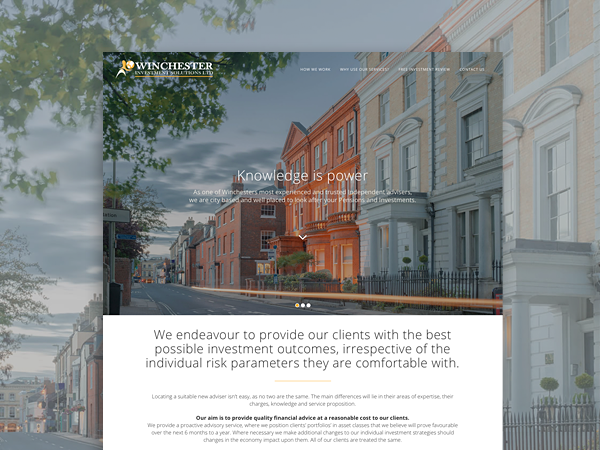 SOLUTION: We designed a stylish but functional website with a new logo and some striking photography. SOLUTION: Their previous website was out of date and needed a revamp and redesign. We removed the clutter and designed and built a very clean, stylish and accessible website. BRIEF: People Results Ltd provide coaching, staff training, team-building workshops and staff motivation events for businesses across the UK, they needed a website to show potential clients all of their services. SOLUTION: We designed a very cool and stylish website with some effective Flash animation. 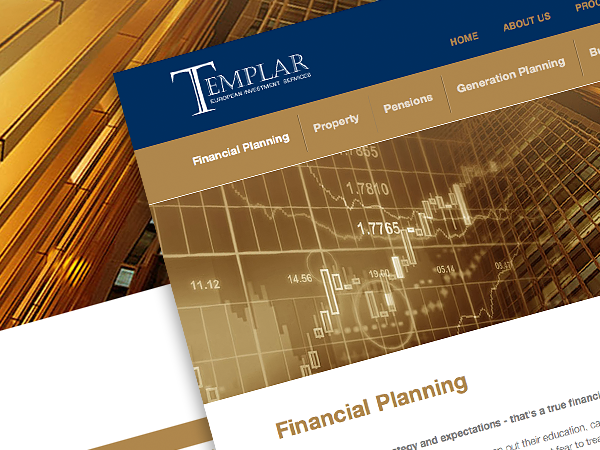 BRIEF: To design and build a new website for a Malta-based investment advisory company. 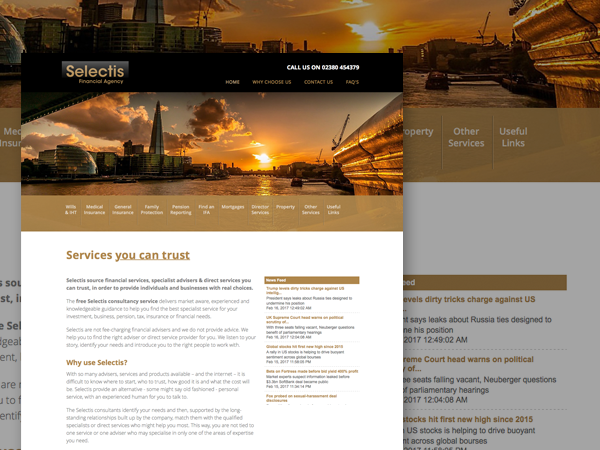 SOLUTION: We designed a stylish, functional website with some striking photomontages. 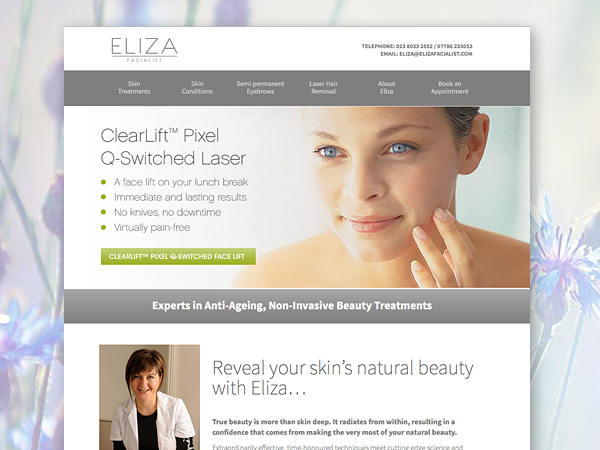 BRIEF: Eliza Facialist is the home of Eliza Stoilkova - renowned skin expert, Eliza provides facials, laser hair removal, skin care, make-up lessons, diet and detox advice. Eliza Facialist is based in Southampton, Hampshire UK. 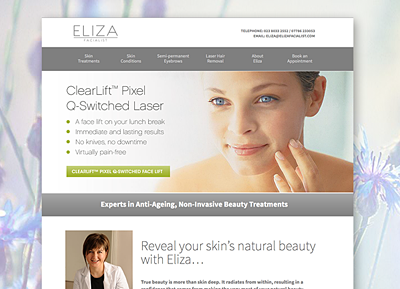 SOLUTION: We designed a clean, sophisticated website, search engine optimised for all people looking for skin care, laser hair removal, facials, make-up lessons and skin care and advice in Southampton, Hampshire UK. 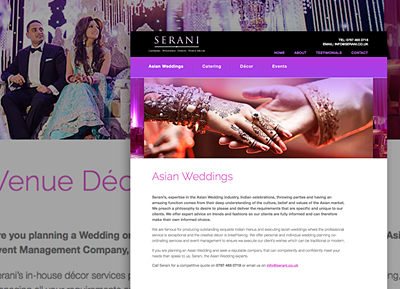 BRIEF: To design and build a new website for a prestigious asian events and catering business. SOLUTION: We designed a stylish website with clean typography and some striking imagery.